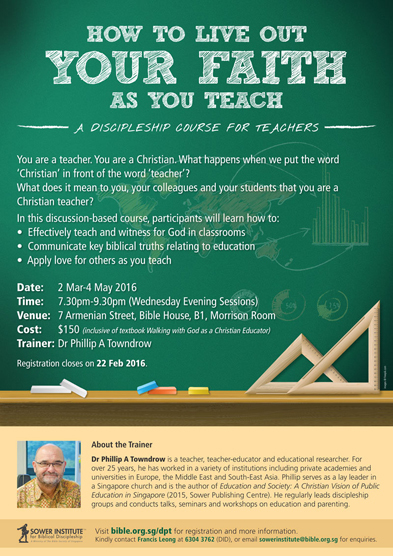 Date/Time - 2 Mar (Wednesday) – 4 May (Wednesday), 7.30 p.m. – 9.30 p.m.
What does it mean to you, your colleagues and your students that you are a Christian teacher? Inthis discussion-based course, participants will learn how to effectively teach and witness for God in classrooms, communicate key biblical truths relating to education, and apply love for others as they teach. The trainer is Dr Phillip A.Towndrow, who has been a teacher, teacher-educator and educational researcher for more than 25 years. Organised by Sower Institute for Biblical Discipleship. 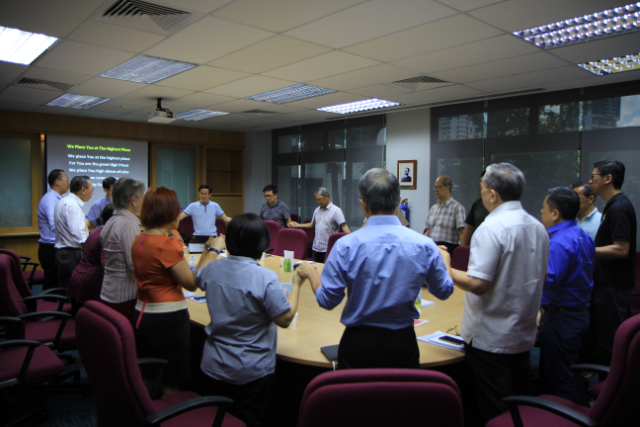 Register by 22 Feb. $150 per person (inclusive of textbook Walking with God as a Christian Educator).